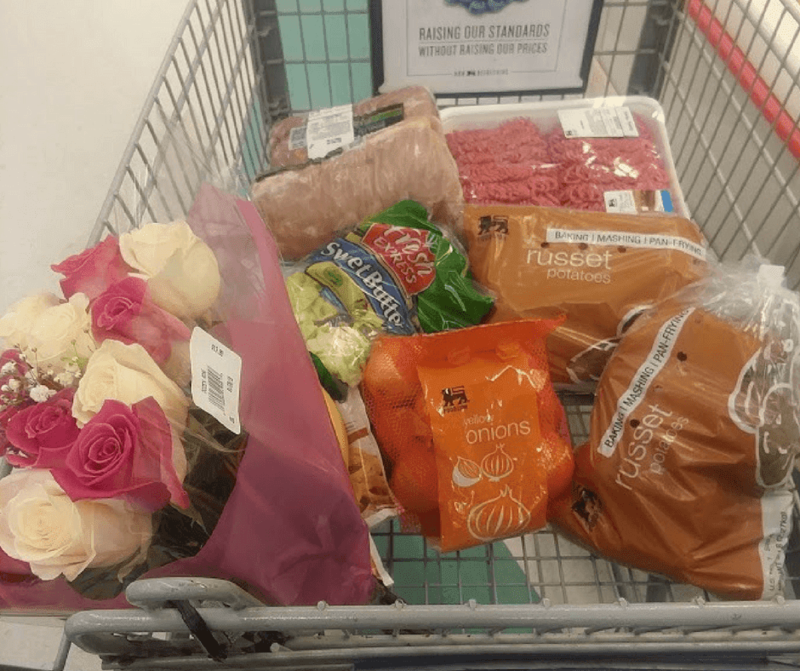 This is a sponsored post written by me on behalf of Food Lion for IZEA. All opinions are 100% mine. Earning money for doing something you are already doing is awesome right? Well, I love it. Shopping for my family is something I do several times a week. I try to stick to a meal plan to get the best value for our money. We love to find stores that offer savings or shopper perks. That's why we LOVE Food Lion. We have our savings card that we can clip on our key chain but we also have the app. It makes it so easy to save and earn points for the products that we are already buying. It's like earning money for nothing! So, I'm going to break down how easy it is for you to earn money while you are enjoying the great savings. The App is a great place to start, or you can save offers right from your desktop. I really like the way that Food Lion is thoughtful of their customers and our needs. Using my phone to go to foodlion.com or the Food Lion App to find offers and add them to my digital coupon collection is so easy. After the Offers are loaded to my account, I can earn my rewards by shopping my regular list and making my monthly goals. I love how there is a set, specific amount and I can watch the bar fill up by making purchases. 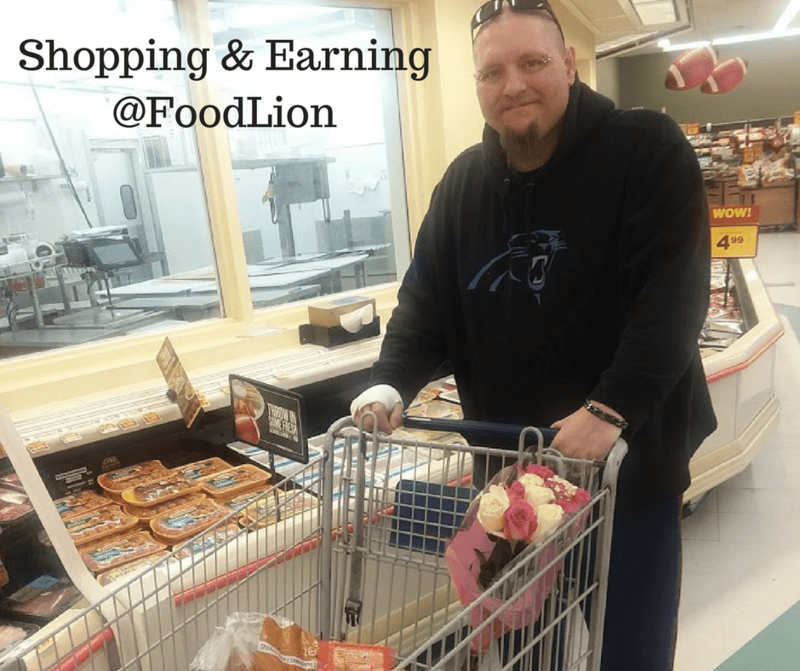 I can use coupons and other savings from Food Lion and still Shop & Earn! There is no guessing or highlighting/circling on receipts. It's so easy to scan my app or use my MVP Card and not have to clip the physical coupons. No paper cuts, binders, or lists. My phone goes with me, so do my savings. I was sitting in the waiting room at Aron's doctor's appointment the day we went shopping last. You can still see his hand bandage. But while we were sitting there, I shopped the weekly ad, clipped some coupons, and made my shopping list. The best part was, I wasn't even in the waiting room a long time. It's just that easy to use. Earning rewards for using a store I like to shop at is a customer's dream come true. I can load my Offers at the beginning of the month and just let them do their thing. I don't have to calculate anything. My MVP Card takes care of all of it for me. You can see below just how easy it is. I will use the first one as an example. We purchase milk, cheese, yogurt, and so much more dairy regularly. Spending $20 on dairy is a breeze for us. When I fill up the progress bar, I can redeem my reward for the following month. This month, I earned $8 just by one shopping trip. That is a lot of earning and that wasn't counting savings from coupons, that was just what I earned shopping for the items on my list. It's so easy. I do realize I have said "it's so easy" several times in this post but I'm a full time working mom and wife, "Easy" is a great thing to fit in my schedule. Earn rewards by purchasing the set amount monthly. It's so easy to redeem your rewards. When you are all done earning your rewards for the month your total earning will be listed in your My Wallet section. It is so easy to check your balance. When those rewards are earned, they come right off your total when you shop next time. I love the rewards system that the MVP Card has to offer for customers like me. I don't have to collect stamps, hole punches, or any inconvenient things like that. It's all automatic and kept up with for me so I don't have to keep track of anything on my own. It's awesome and so easy to use. 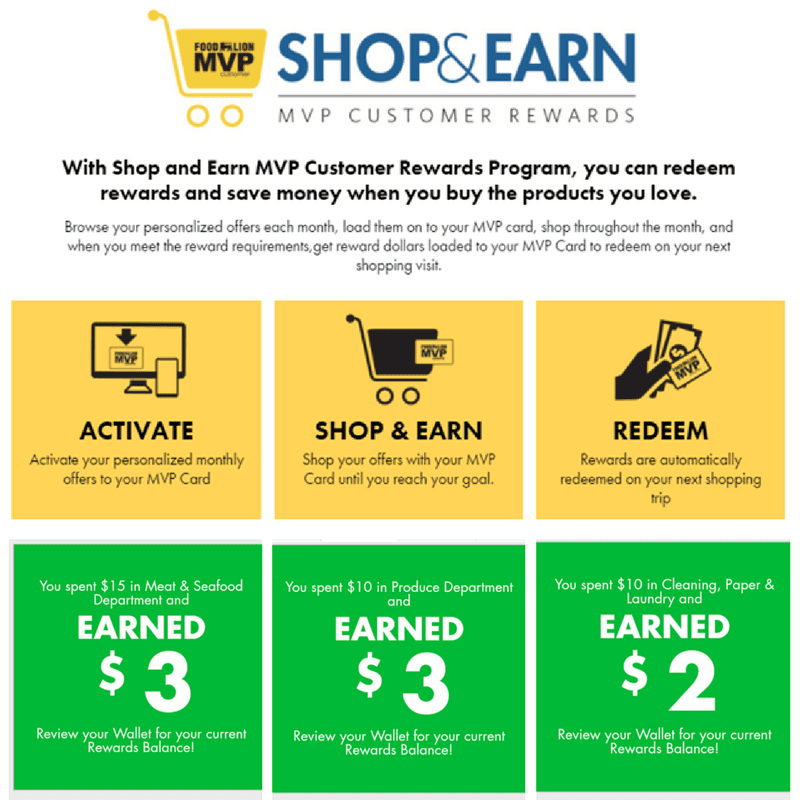 If you are looking for an easy way for your money to go further and earn more while you are doing it, check out the MVP Card at Food Lion. Food Lion offers so many great ideas for cooking so you can plan and make meals so much easier. I can add in any ingredients and know it will make it to my list. It's awesome and a great tool to have such easy access to. Check out the Fresh Ideas Blog for more ideas. Download the Food Lion app on Google Play or on iTunes. You can find more about Food Lion on their website and on their social media.